So you’ve had your eye on a brand new MacBook Pro, and you’ve spent the past few weeks trying to justify the expense but you’re still unsure if it’s the right time. 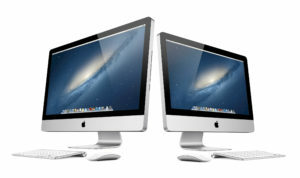 With 12 Months Special Financing* from Synchrony Bank, now is the perfect time to upgrade to a new Mac. Your options aren’t limited to just a new computer, though. Maybe you’re interested in getting a new iPad, a killer pair of Beats bluetooth headphones. Whatever you’ve been dying to get your hands on, Graphicom and Synchrony are here to help. Just stop by our store anytime and we’ll be glad to help you through the lightning fast approval process, or if you’d prefer, you can go ahead fill out a credit application here and you’ll already be set when you come in. On any purchase made with your Synchrony Bank (formerly GE Capital Home Design) credit card. Interest will be charged to your account from the purchase date if the promotional purchase is not paid in full within the promotional period. Minimum Monthly Payments Required. *No interest will be charged on the promo purchase if you pay the promo purchase amount in full within 12 months. If you do not, interest will be charged on the promo purchase from the purchase date. Depending on purchase amount, promotion length, and payment allocation, the required minimum monthly payments may or may not pay off purchase by end of promotional period. Regular account terms apply to non-promotional purchases and, after promotion ends, to promotional balance. For new accounts: Purchase APR is 29.99%. Minimum Interest Charge is $2. Existing cardholders should see their credit card agreement for their applicable terms. Subject to credit approval. Apple, the Apple logo, Apple TV, iPad, iPhone, iPod, iPod nano, iPod touch, iTunes, Mac, MacBook Air, MacBook Pro, and OS X are trademarks of Apple Inc., registered in the U.S. and other countries. AppleCare+ is a service mark of Apple Inc., registered in the U.S. and other countries.